Is there a Champion inside of you? Join the fencing club and find out. 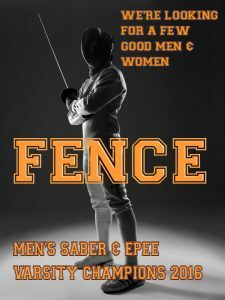 If you like the movie Princess Bride, or Pirates of the Caribbean, then the fencing team is for you. Sign up below so we can keep you informed about important info like times, dates and locations for fencing demonstrations, information meetings, practices, social events, etc.